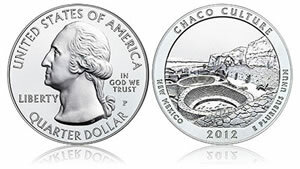 United States Mint suspensions of silver coins for re-pricing ended Wednesday, October 10, after having been in effect since the previous Wednesday, October 3. This article shows the sales performances of the coins immediately prior to their suspension. U.S. Mint sales reporting periods for its numismatic products are weekly. An unexpected suspension of coins by the Mint in the middle of a week would naturally diminish expectations for the reported weekly gains of those coins. That was mostly the case, with one major exception. More than 20,000 proof Silver Eagles were purchased during the few days prior to its suspension. Just over 12,000 were bought during the previous week. Below is a table of sales figures for the silver coins that were suspended. The first three columns provide weekly sales increases during the noted dates. The fourth column in bold provides advances made in the week the silver coins were suspended. The final column lists the coin’s latest sales total.